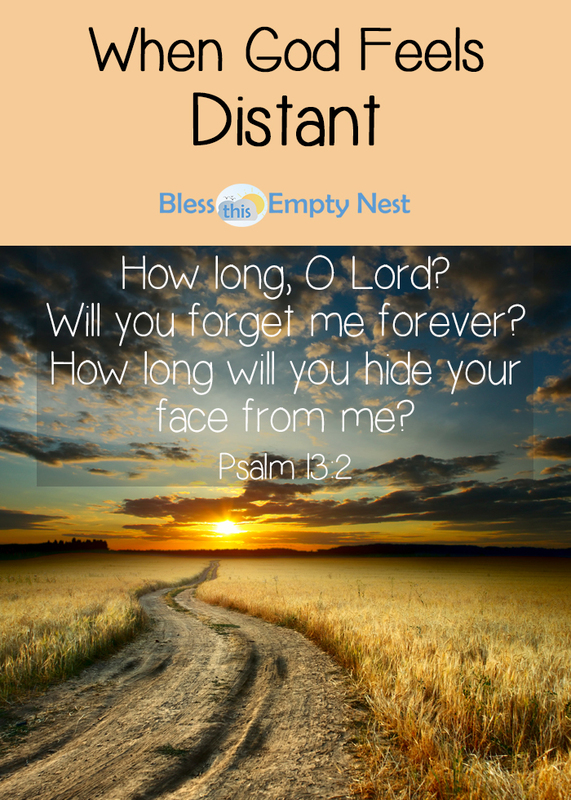 Recently I had an experience of feeling like I had lost my connection with God. I worried that I was doing something wrong, which was causing my spiritual progress to recede, but as I prayed about it I had a few realizations. Recently I had an experience of feeling like I had lost my connection with God. It was the first time that had happened in any significant way since I had committed my life to Jesus, about a year before. At first, I figured I was just having an off day. But when it continued for a few days in a row, then into a week, I started to worry a bit. The first thing that came to my mind was my situation twelve years ago, when I was going through treatment for breast cancer. 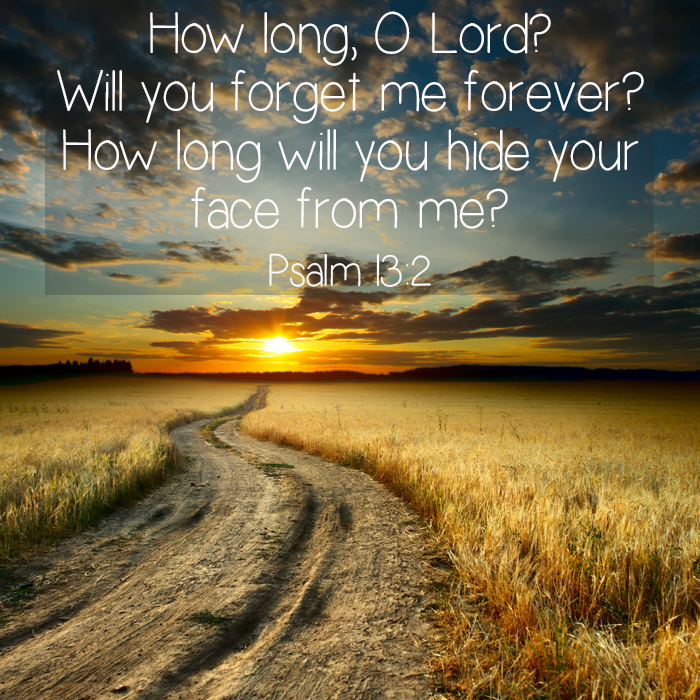 I drew very close to God during the year I was enduring chemo and radiation. But then, after my treatment was over and I began to realize that I was going to be OK, I gradually started to drift away again, without even really realizing it. I remember becoming cognizant at one point of what was happening and wishing I could get my closeness with God back. I even gave it a bit of a try, but at the time, I wasn’t able to move beyond my own self-absorption. So, when this disconnected feeling happened recently, I worried that the same thing was happening, or I was doing something wrong that was causing the spiritual progress I had made over the last 12 months to fade away. I was anxious that I wouldn’t be able to get back to where I had been just a few weeks before. The only thing I could think to do about it was to pray, and ask God to show me what I needed to fix. Wouldn’t you know it, God answered my prayers! Over a period of a few days, he helped me to understand what was going on, by gifting me with a few realizations. Just by virtue of the fact that I was aware of the distance I was feeling, and had concerns about it, I could be assured that this experience was not at all the same as the situation 12 years ago. I now have a tightly-knit support community around me at my parish. These folks are strong in their faith, and so loving and encouraging, that it would be very difficult for me to just drift away. In fact, I think to lose my relationship with God at this point would require a conscious choice on my part to turn away. Now let me clarify that a bit. Along with that thought came the understanding that this test was not like a test at school, where the purpose would be to evaluate if I had worked hard enough to pass. Since God already knows everything about me, making me jump through hoops for that kind of assessment would not serve any purpose. And God doesn’t do anything without a purpose. So this test was not for God to find out anything about me, but it was an opportunity for me to RECOGNIZE, to GROW, and to MOVE FORWARD in my own spiritual progress. To give me more confidence in my own faith, and to help me understand that I was moving beyond being a beginner and into a more intermediate spiritual level. To teach me to not place too much trust in my emotions. Human emotions are flighty and unpredictable, and therefore not to be depended on as a barometer of the status of my relationship with God. To not place too much confidence on my own self, and by that, I mean to take upon myself the sole responsibility for maintaining my faith. My faith is a gift of God’s grace, and all I have to do is be open to it and keep approaching him in love and trust. I need to stop trying so hard and just receive! When I say that I need to stop trying so hard, I don’t mean that I don’t need to keep doing the work. As with any relationship, you need to work at it to keep it strong. But, with a human relationship, it is possible that I could work really hard at it without eliciting a similar response from the person with whom I am trying to have a relationship. Dealing with other humans can be a bit dicey sometimes! But working with God is not dicey at all. If I continue to come to him, sorry for my sins, open to receiving his love and all the gifts he wants to give me, he will respond every time. If I don’t ‘feel’ anything in that response, it’s not a cause for worry. Sometimes his work goes on behind the scenes, and on his own timeline, and at those times it will seem like nothing is happening. However, I can trust that something is going on back there, whether I can sense it or not. What a relief! So now I know to keep doing what I am doing, continuing to approach God daily with my thanks, praise, trust, requests, love, concerns, etc. And as I do this, I find that I am discovering other ways to ‘sense’ God working in my life. Which means that, even though I was thinking I had LOST something, God had in actuality worked to remove an obstacle to my spiritual progress. WOW. What an amazing Father we have! He loves us so much! 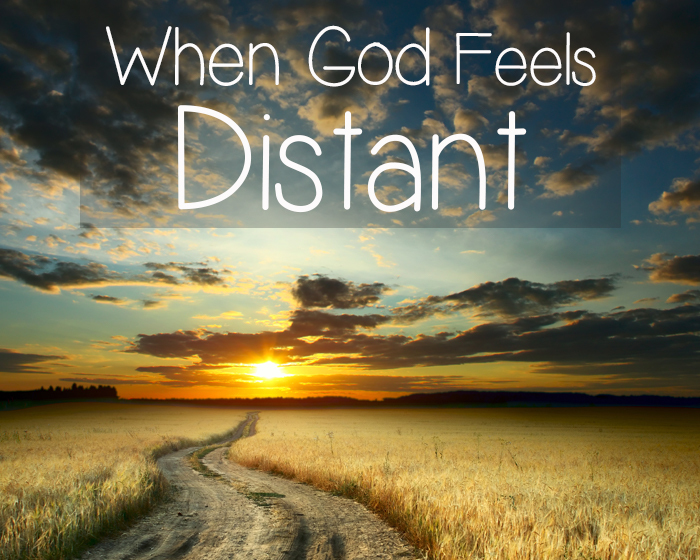 Have you ever felt disconnected from God? Were you able to learn something from it? What different ways are you able to sense God working in your life? Thank you, Marilyn! I am so honored and excited to be featured! I love partying at #OverTheMoon and will be sure to come back often! He does continually test us. He also wants you to go completely on faith. Your faith in Him is a HUGE deal. We don’t seem to make a big enough deal about that. I am talking Peter stepping out of the boat and walking on water faith. If you believe like that He will be right there training you to go father. Abraham sacrificing his son was the classic action proving faith that convinced God to begin a covenant. He is so faithful when you have matching faith! Thanks for sharing at Home Sweet Home!